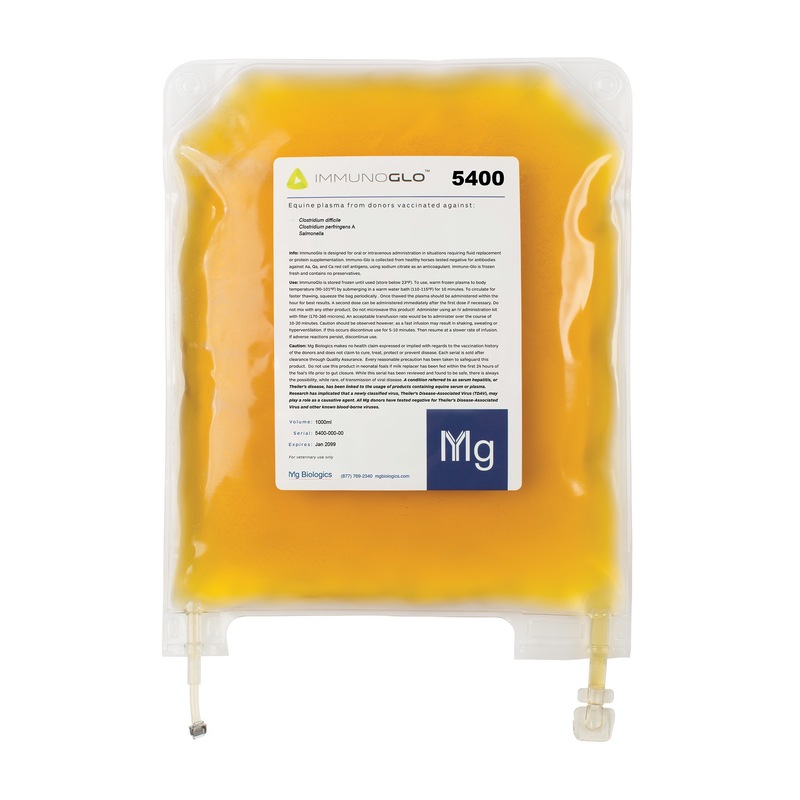 30 Results for "MG Biologics"
Thank you for investigating our company and products. 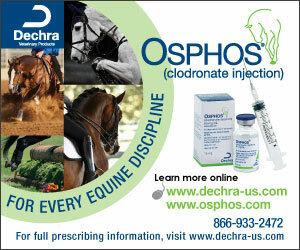 We are a manufacturer of equine plasma, and antibodies for use in equine and other companion animals. We are focused however on the benefits we believe to be possible with hyper-immunized products. 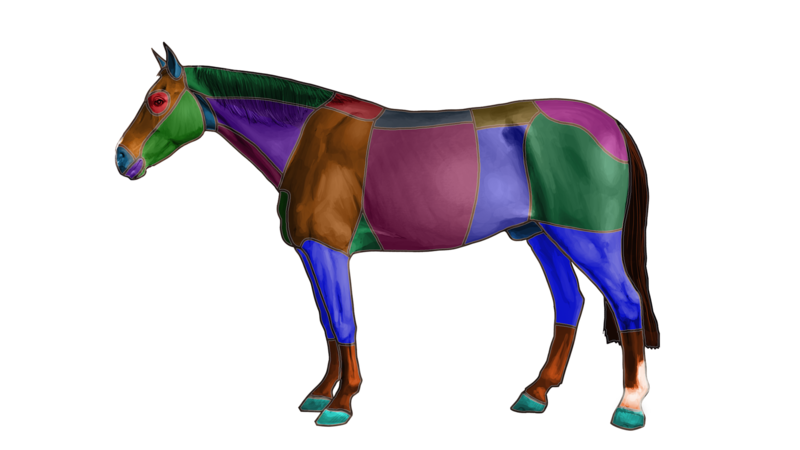 Our research program is focused on the overall goal of accomplishing very high titers and then investigating the efficacy in the animal of that response. Our hypothesis is that specific passive antibodies are always beneficial in reducing the duration of a disease, reducing the severity of a disease or in arresting the disease entirely. It is to this goal that we devote ourselves. Of the principles that we hold most dear, besides quality, value and innovation, we consider customer service to be especially satisfying. Our day is not complete until we have satisfied the needs of the customer. Even to say it more clearly; sometimes when things don’t go right (because sometimes they don’t) we make an extra effort (nothing is spared) to see that the customer is taken care of. No excuse is acceptable if the client is not cared for. We are fanatical, intense, wound-tight, and high-strung on this point. I believe we have this high standard of service to our customers and most importantly, I think they agree. 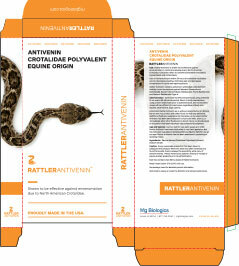 Shown to be effective against envenomation in canine and equine due to North American Crotalidae. Crotalidae refers to the Crotalinae subfamily (commonly named ‘Pit Vipers’) and includes cottonmouths/water moccasins, copperheads and rattlesnakes.